Are Your Teeth Healthy Enough to Last a Lifetime? Remember the wise old saying, “An ounce of prevention is worth a pound of cure?” This statement is very true when it comes to your oral health. This is because we only get one set of permanent teeth and these teeth have to last us for a lifetime. This can be a challenge for many individuals. In fact, despite advances in dental medicine, many Americans still struggle with tooth loss. Tooth loss can have a very negative effect on your confidence and quality of life and can be expensive to remedy. So, how can you make sure that your teeth are healthy enough to last a lifetime? 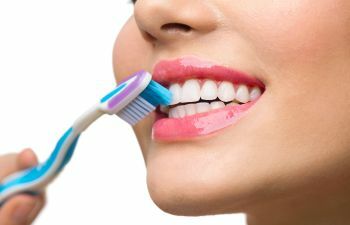 If you want to maintain healthy teeth and gums and good overall oral health, there is a simple formula you can follow; brush and floss your teeth thoroughly everyday, visit your dentist regularly for dental cleanings and checkups (at least once every six months), eat a healthy, well-balanced diet, refrain from smoking and limit your intake of sugary and highly acidic foods and beverages. Wait a minute: that does not sound so simple, does it? Making lifestyle changes requires that you establish good habits, and habits take time to form. In fact, many experts estimate that it takes around 21 days for a habit to form. That means, if you start practicing good oral habits today, you will be on your way to a healthier lifestyle by October 15th. That sounds reasonable, right? Your dentist is a great person to talk with about how to achieve and maintain optimal dental health. Your dental hygienist is also a great resource. If your dental health could use some improvement, schedule an appointment with your dentist today.